The Supreme Court on Wednesday extended the house arrest of the five accused activists in Bhima Koregaon Violence till the next hearing on September 17. The Left-wing activists were arrested last month for their suspect links with Maoists. 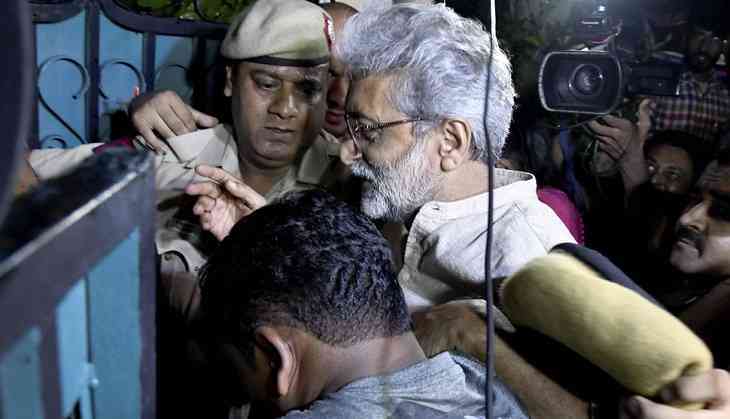 Tnhe five activists Telugu poet Varavara Rao, activists Vernon Gonzalves and Arun Ferreira, lawyer Sudha Bhardwaj and civil liberties activist Gautam Navalakha were taken into custody in sweeping multi-city raids by the Pune Police for suspected Maoist links. The petition was filed by historian Romila Thapar and four others challenging the last month's arrest of the five activists. A bench comprising Chief Justice Dipak Misra, Justices A M Khanwilkar and D Y Chandrachud adjourned the hearing on the plea. The senior advocate Abhishek Manu Singhv is representing the petitioners. The Maharashtra Police told the apex court that the activists were arrested for their clear links with the banned CPI(Maoist) and not because of their dissenting views and has nothing to do with the activists' dissenting opinion or difference in their political or other ideologies.